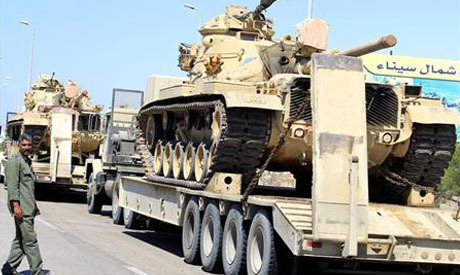 A soldier was killed and a low-ranking officer and a civilian were injured in a militant attack in the North Sinai town of Al-Arish on Wednesday, according to army spokesman Ahmed Ali. The killed soldier has been identified as Lotfy Ateyya, said the spokesman. Around 500 policemen and soldiers have been killed in bombings and shootings, according to a government tally, since the ouster of Islamist president Mohamed Morsi in July 2013.